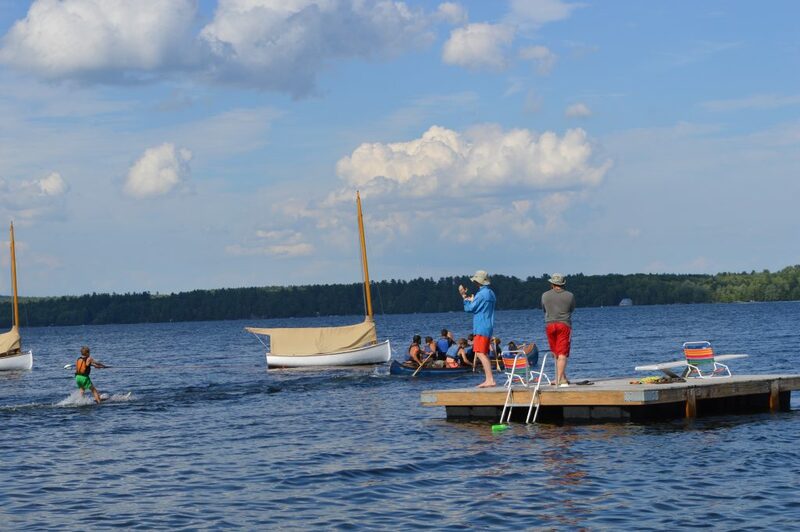 We’re busy at camp ensuring that our 117th summer is another great one and that all of our campers have opportunities to challenge themselves, to learn and grow, and to have fun! Throughout the season, parents will stay connected to their sons through hand-written letters. While some correspondence will surely be less descriptive than others (many parents have received that one liner: Send cookies ASAP), all letters from camp become a treasure. Letter writing is a wonderful way to communicate and, though a dying art in most of the country, it’s alive and well at Pine Island! 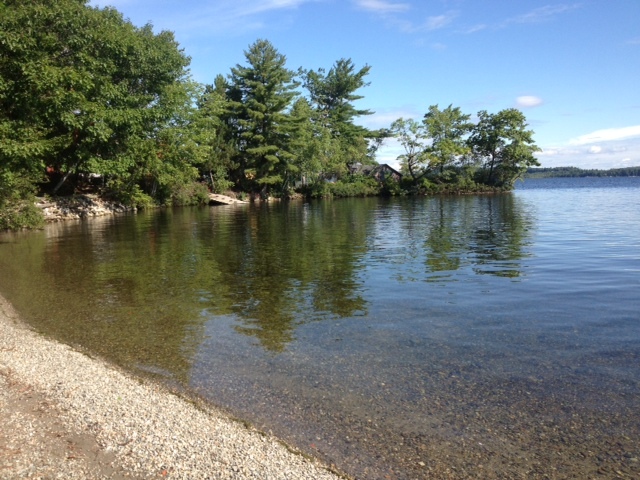 Pine Island’s 117th season is going to be another great one! A beautiful afternoon for Opening Day 2018! 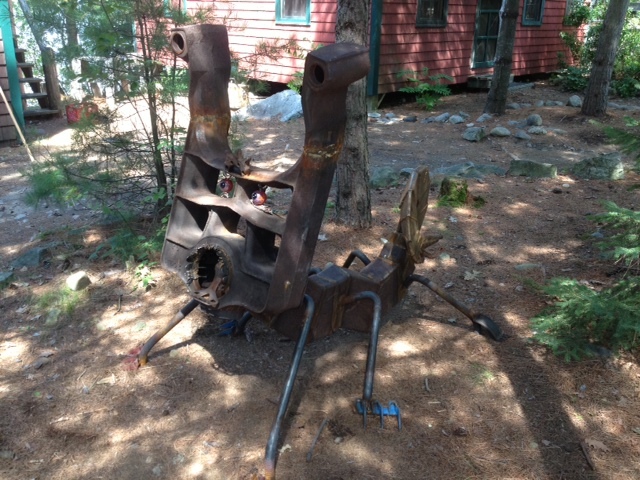 This entry was posted in News from Camp on June 28, 2018 by Pine Island Camp. It’s been a busy few weeks since camp ended. We’ve been at our desks just long enough to look through the photos taken throughout the summer. They’re up for you to view now in the 2014 Highlights Gallery. 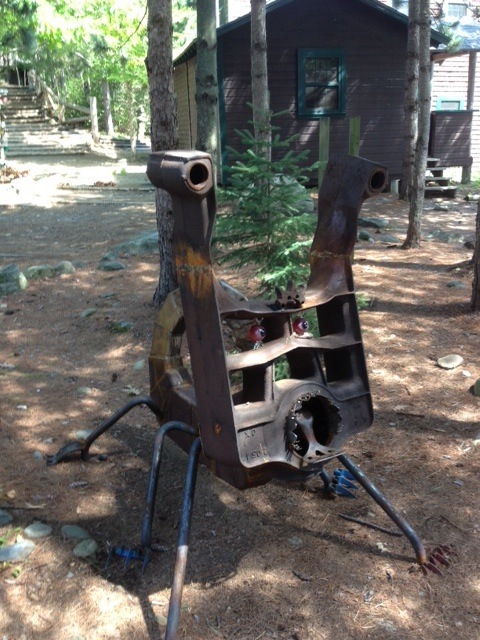 This entry was posted in News from Camp, views from camp on September 9, 2014 by Pine Island Camp. It’s been ten days since we said goodbye to our campers. Since then we’ve been hauling boats out of the water, taking down tents, and generally getting the island ready for the winter. Part of that work has included relocating our newest sacred animal, Emery, the Spork-toothed Heliscorpion, from the mainland to the island. This was no small task given his significant weight. Emery arrived the evening of packing day in a wonderful ceremony with lots of Henchmen. 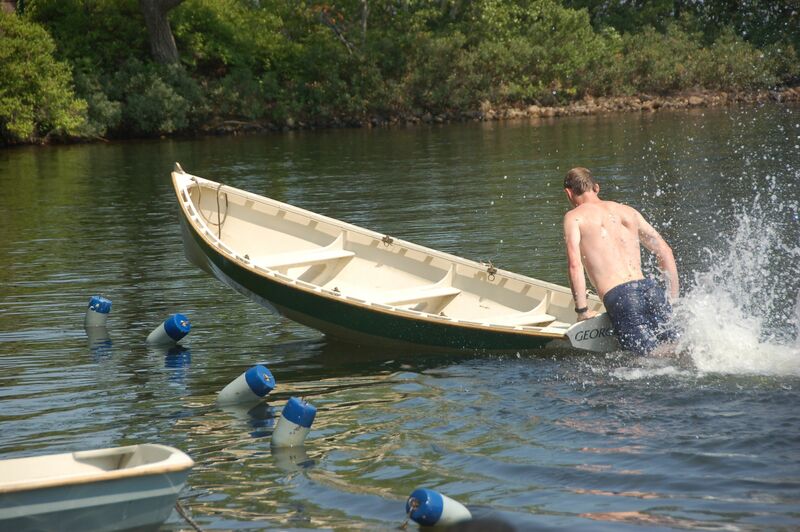 His arrival is the pronouncement that the 2014 season was another great summer at Pine Island. Emery is by far the heaviest of our sacred animals and perhaps that’s a testament to this remarkable summer. 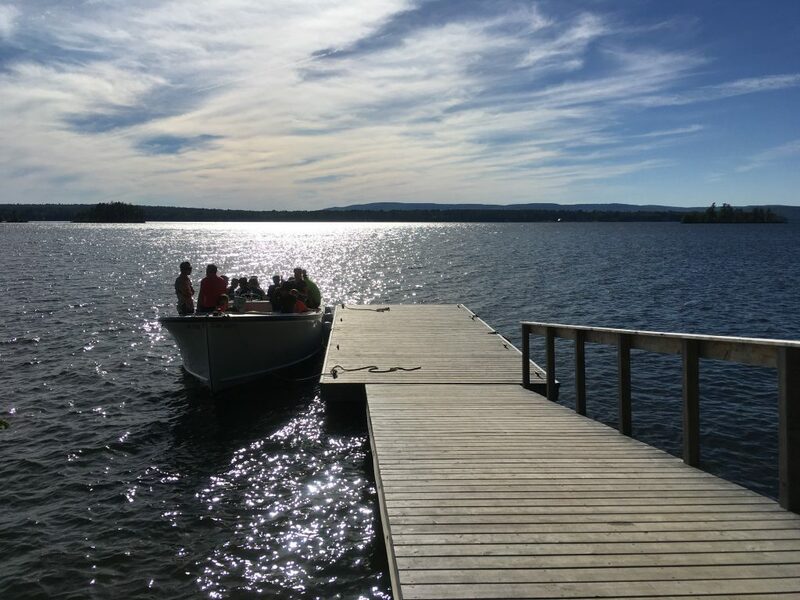 Pine Island’s 2014 campers logged many miles on the trails and waterways; 10 campers earned their 50 mile badge, 10 earned their 100 mile badge, and 40 earned badges for traveling distances of 150-250+ miles over the course of their summers at camp. 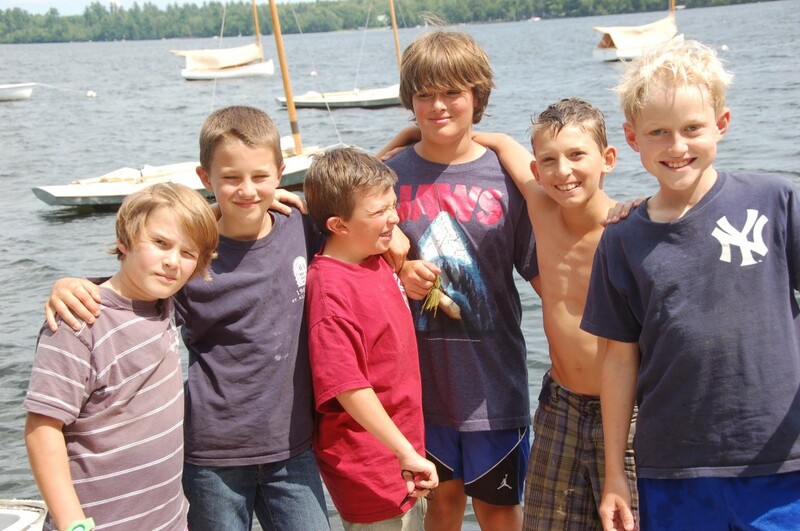 Boys became skilled in workshop, woodcraft, and watermanship, earning ranks in their favorite activities. But what made this summer so great has nothing to do with the statistics. This group of campers and staff created a special community, one in which each boy’s participation and energy was needed. We’re grateful for every camper, staff member, parent, and volunteer, all of whom made this season, start to finish, another remarkable one. The last dinner, takeout, for the close up crew on the Tent 12 platform. 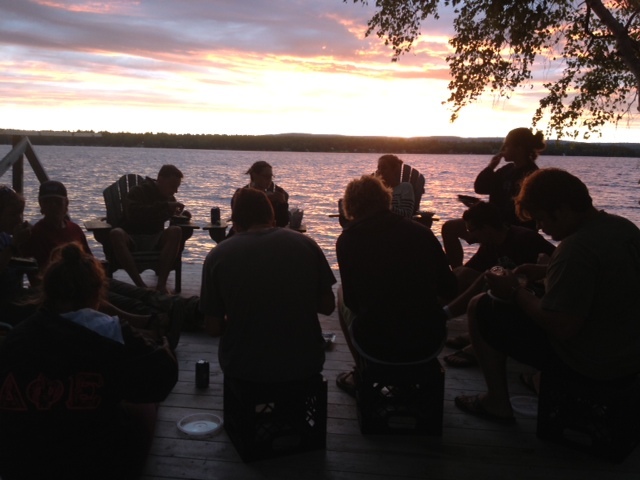 This entry was posted in News from Camp, off season, Pine Island Staff, views from camp on August 20, 2014 by Pine Island Camp.